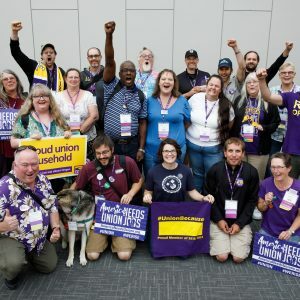 SEIU503 Local | Join SEIU 503’s Member Leadership Development Program (MLDP) — AFRAM Focus! 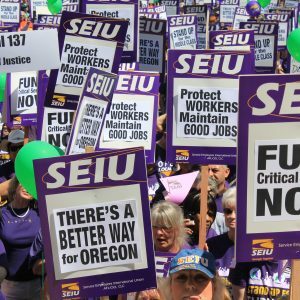 Join SEIU 503’s Member Leadership Development Program (MLDP) — AFRAM Focus! Get paid to help build your union while learning valuable leadership and organizing skills. Over the course of four weeks, the Caucus for Black and African Descent SEIU members (AFRAM) participant will help build our union by organizing within the Black/African Descendant demographic of our membership and identifying issues relevant to our members who identify as Black, African, or African American. The AFRAM MLDP participant will receive classroom training with a group of MLDPs working on other projects and one on one field training from skilled organizers with a focus on developing and strengthening their leadership and organizing skills. Preference will be given to members who identify as Black, African or African American. The program will run from September 17 through October 12, 2018. Entry into the MLDP is competitive. Applications must be received by August 11th. The caucus will then review applications and schedule interviews. Interviews will be scheduled the week of August 13-17 and the applicant will be selected by August 20th. Past MLDP participants are welcome to apply and may be selected, but priority is given to first-time participants. Participation in the MLDP is not meant to be a pathway towards employment as union staff but rather as way to develop member leaders and build the strength of the AFRAM Caucus. Attend several days of training at either the Portland or Salem field office (the location will be determined prior to the start of each wave). Lodging will be provided for people outside the Portland/Salem area. that involves reaching out and organizing members of our union who identify as Black, African descendent or African American . with Black/African Descendent/ African American union members. Developing a survey to help identify worksite issues Black/African/African American members experience and solicit feedback on what work members would like the Caucus to take on. Work on a project that aligns with building our Union, with the support of the staff advisor, that will benefit the Caucus in the long term. Increase membership in our Union. Expand our political action fund (CAPE). coverage and respite care for your client during the times you are participating in the MLDP. You must be able to work a full 40, scheduled hours per week. You must be able to effectively work independently. You must be able to accurately track and report work activities and participate in all scheduled trainings, meetings, and conference calls. This is a paid program, you will be paid replacement wages or $17.00 per hour, whichever is greater. You will be paid COBRA reimbursements, if necessary, for your work-related health care coverage to continue for the full duration of the program. 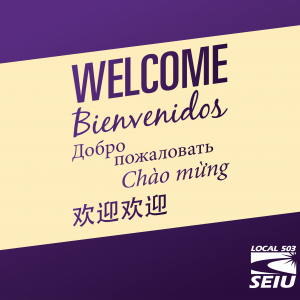 In addition, you will receive the equivalent of the pension contribution paid by your SEIU-represented employer. You will also be paid mileage at the full IRS rate for all non-commute miles driven during the program. The work schedule will consist of 40 hours a week, some of which may be on weekends and evenings when hosting meetings except for the first week of the program, which will be largely classroom-based and field training. The first week schedule will be Monday through Friday, 9am to 5:30pm. There will be a couple of additional training days in the final week of the program and that schedule will also be 9am to 5:30pm. Exact schedule and training location will be worked out during the MLDP. In addition to initial training, participants will be supported with daily check-in calls with an organizer as well additional one on one field training throughout the program.